We've all heard of prejudice against ethnic groups, but here's one ethnic group you don't often think of as victims of discrimination: Canadians. 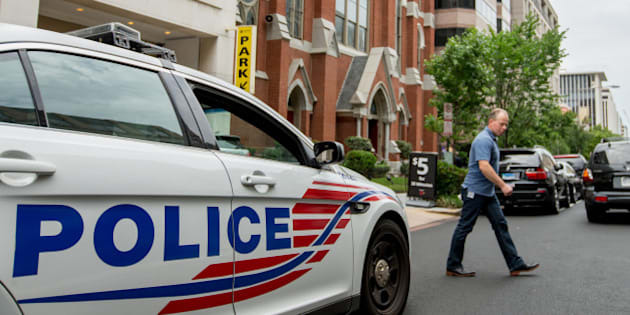 A former employee of Washington, D.C.’s Metropolitan Police Department (MPD) has brought a workplace harassment lawsuit against the force, accusing a former supervisor of discriminating against her because she was Canadian. Laurie J. Samuel, a Canadian national who has been living in the U.S. since 1998, was employed in the human resources department at Washington’s MPD from 2006 to 2013, according to court documents obtained by Washington City Paper. Samuel alleges a pattern of harassment by her supervisor, Diane Haines Walton, who “harbored resentment which manifested in snide remarks about [Samuel's] heritage and her work,” according to the lawsuit, filed last week in the U.S. District Court for D.C. The lawsuit alleges Haines vocally objected to Samuel’s attempts to get permanent U.S. residency with the force’s support, telling colleagues the force should “hire an American” and disrupting the application process by failing to file paperwork on time. Haines “sabotaged [Samuel’s] ability to extend her work permit so that she can remain within the United States and continue working” for the police force, the lawsuit alleges. Samuel’s filing with the U.S. District Court for D.C. goes on to allege that Haines released Samuel’s personnel records without permission, during a deposition, resulting in an investigation by internal affairs. It also alleges Haines kept secret the fact that a work visa for Samuel had been extended, not informing Samuel for two years of the extended visa, until after the visa had expired. Samuel was reportedly fired from the police force in 2013, for allegedly lacking a proper work visa, and her legal status in the U.S. is “in limbo,” the court documents state. As a result of the police force’s actions, Samuel “has suffered loss of income, emotional stress and pecuniary distress,” the filing states. Samuel is suing for back pay, punitive damages and legal costs. The court filing does not specify dollar amounts.